So I'm still intact - our baby was not born during the weekend. It's nice to not be in excruciating pain, but its a bit weird not knowing when it's going to hit. 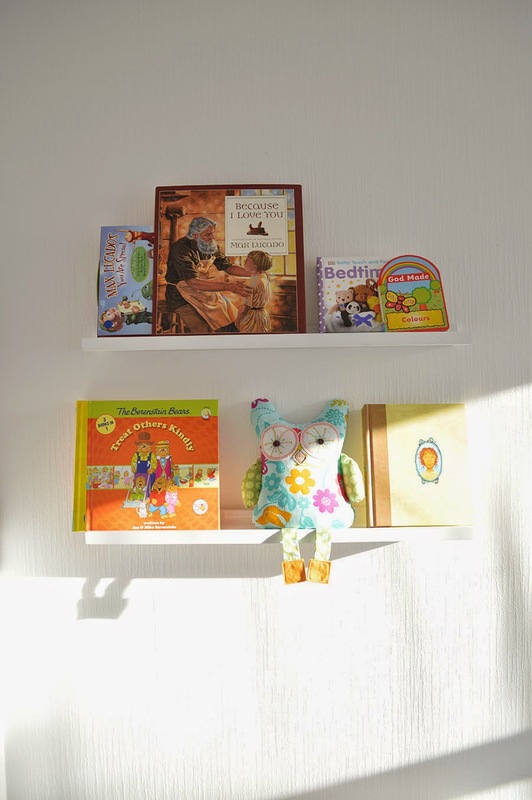 So although our nursery isn't 'finished' I decided to take some pictures this morning and share them here. The great news is that I don't have to get dressed or put on makeup to do this. I don't know if I have reinforced enough how much I dread putting on my maternity jeans. Them jeans being basically the only pregnant clothing available at the time, ever, along with perhaps 2 tops that I wear on rotation. Urg. 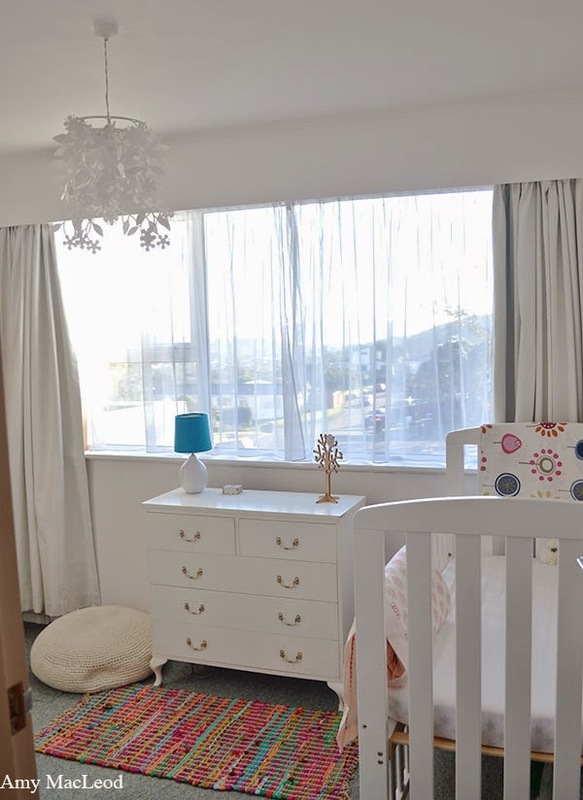 We've tried to keep this room gender-neutral and also when I think about it, the only thing we bought new was the cot ('crib' if you're American). The drawers were a second-hand find but they anger my sensitive pregnant nose because they absolutely stink of old-lady-perfume. I scrubbed them out and still no luck. I don't know if I can bear to curse my baby with clothes that smell like that but for now it's our only option. 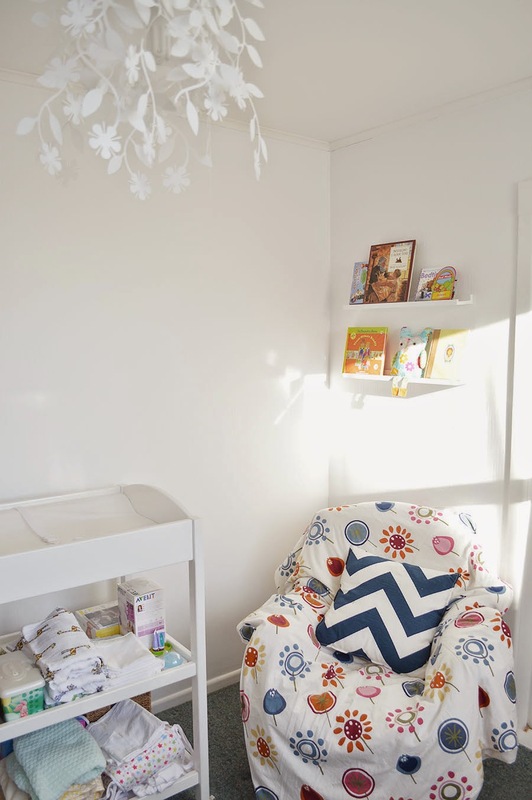 You know how when you are not pregnant you see all these adorable nursery rooms on Pinterest or wherever and you think "I must save all these pictures for when I am knocked up! I will have the most perfect baby's room in the universe!" and then one day you find yourself impregnated, with neither the means nor the energy to actually implement that dream design in your head, and instead you have an awkward-shaped little room with bad-taste carpet, horrible window pelmets, and a really awful wardrobe that you're never going to post a photo of in your 'nursery progress' blog post? And then you see other people doing their 'nursery reveal' weeks before their baby is due and it is impeccable but you are too tired/sore/beached to be jealous? Anyway, here are some snapshots. For the record, these photos make the room look better than it is. Just saying. See, that is the power of the crop tool. Then again, it's come a long way. You can see the before-and-after paint job here. I couldn't do much to crop out the really-old-discoloured-chair-with-a-duvet-on-it situation, but I'm not going to apologise because me and that duvet are like *this*. So, that's our nursery. And maybe one day if we replace the doors and carpet and perhaps redo the armchair, I hope to show you a completed 'reveal'. 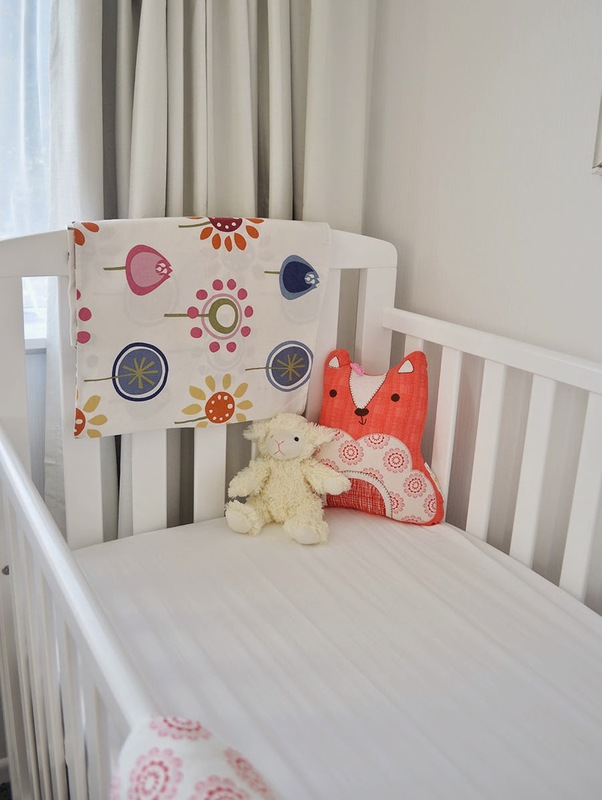 The nursery looks lovely and all ready for your little one! I know exactly how you feel! 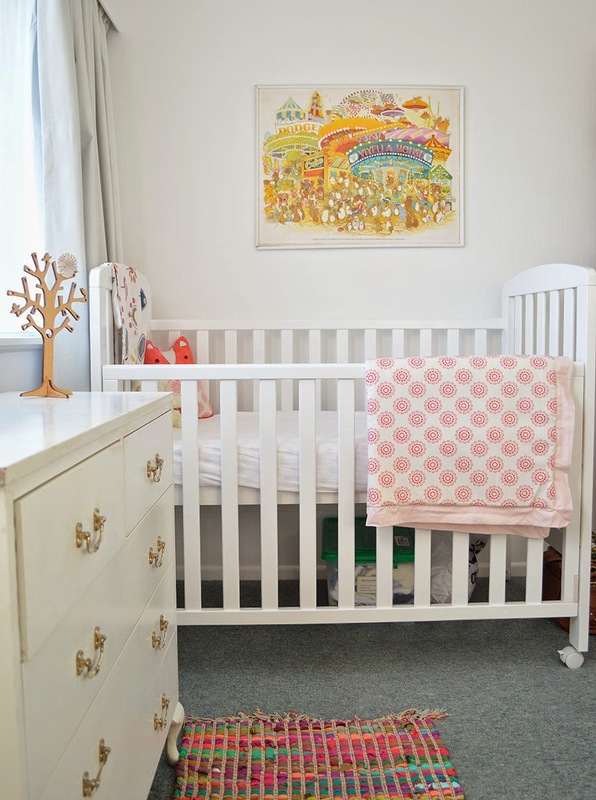 I had all these plans to create the perfect nursery before my little one arrived, but morning sickness stayed with me all day for 4 months. After I got past that, all I wanted to do was sleep. My boy is almost 9 months and I just finished his nursery. It was nice to let it evolve as I got to know him and his routine. Best wishes to you and your family! Awww this is a super sweet space. I'm sure baby will love it there.